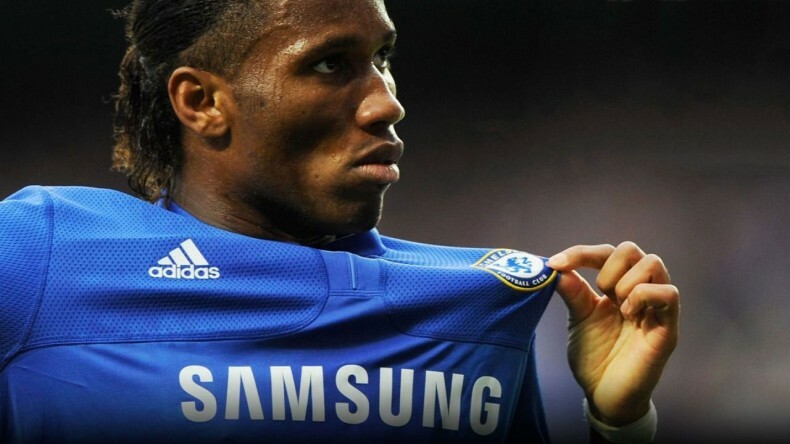 Didier Drogba points out the obvious - Chelsea are lacking leadership! Didier Drogba has stated that now, more than ever, Chelsea lack leadership compared to his time at the club. It's the most obvious statement there is in my opinion! Think back to Didier's time at this club and you think of the core of our team, the spine that ran through it and you had FOUR natural leaders the whole team could rely on. Petr Cech, John Terry, Frank Lampard and Didier Drogba. All of them could come up with something in a game to inspire everyone else, they would get on your back if you wasn't performing because they ALL demanded high standards. Now? We have John Terry and that's about it. A stark contrast to the glory days we have witnessed over the last eleven years. “I don’t like to compare things to when I was there, but there are some facts that you can’t hide. During my time at Chelsea we had a lot of leaders in the team, not only last year but during the previous seasons. There was Frank Lampard, Petr Cech, John Terry, myself, Michael Ballack, Michael Essien, Andriy Shevchenko, Claude Makelele – big names, big players and big characters. We could take responsibility for a result and change the situation in bad moments such as when there was a change of manager or when we had bad results. There was always someone to step up and say, ‘Guys, we need to do something’ and everybody would follow. JT is still there but on your own it is very difficult, so other players have to come up with this mentality. But it’s not something you are born with – you build it within you. You have to make sure that it is the right moment to talk and to take the lead and, most importantly, the rest of the team has to accept you as a leader. When you stand up and say, ‘Let’s go and win’ you have to make sure that you produce yourself – you can’t be a leader if you are not the first to show that you have the determination to want to win. I beg to differ with Didier. I just don't see anyone else as a leader at the moment. They haven't stepped up so far this season when our form was a nightmare so why would they do it now? I guess as a Chelsea fan, I have been lucky to have had players who could do exactly that and have almost taken it for granted because that's how we have gotten used to things over the last decade. We knew that eventually those players would leave but I guess we have always thought that someone would naturally take over in those key areas. I believe Courtois could develop into a leader. I believe Gary Cahill has it in him to take over from JT and become the Captain of this club to then develop into someone as influential. I believe Cesc Fabregas has it in him to do the same and Diego Costa up top (if he can sort himself out!) but they must step up when times are hard. They have to realise that players around them need inspiration when things are not going our way but as I have said, to this point they just haven't done it. If you are to be successful, you need players to make the difference. I guess our problem now is that we have been through the most successful period of our history and have taken it for granted.